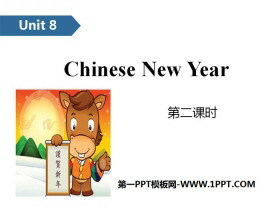 《Chinese New Year》PPT(第二课时) 第一部分内容：Introduce Answer questions： What are you going to do at Chinese New Year? I am going to have a big dinner with my parents. 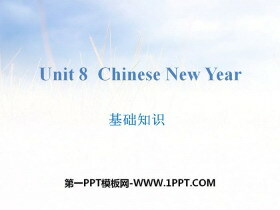 ... ... ... Chinese New YearPPT，第二..
《Chinese New Year》PPT(第一课时) 第一部分内容：Introduce Date Before Chinese New Year On Chinese New Years Eve On Chinese New Years Day On 2nd day of Chinese New Year What to do? 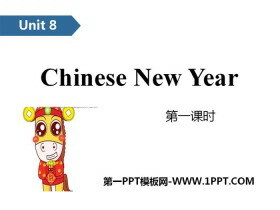 buy some new clothes and food;..
《Chinese New Year》基础知识PPT 第一部分内容：重点单词 1. get 收到,得到 2.fireworks 烟花表演 3.food 食物 4.tangyuan 汤圆 5.rich 富有的 6.plan 计划 7.hooray 好极了 8.firecracker 鞭炮 9.light 点燃 ... ... ... Chi..
《Protect the Earth》PPT(第二课时) 第一部分内容：Introduce I can use ___ to ____. We should _______. We should not _______. ... ... ... 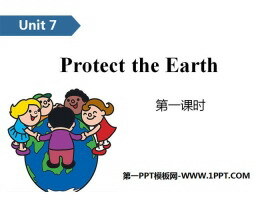 Protect the EarthPPT，第二部分内容：Words use to use + 名词 + to + 动?#35797;?. 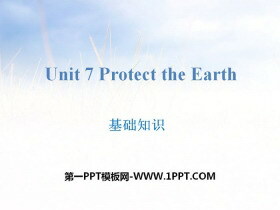 《Protect the Earth》PPT(第一课时) 第一部分内容：Introduce We should use/ we should not use We should reuse ... ... ... 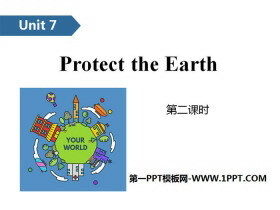 Protect the EarthPPT，第二部分内容：Words protect /pr'tekt/ 动词,表示保护 。 现在分词为pro..
《Protect the Earth》课堂练习PPT 第一部分内容：词汇练习 一、英汉互译。 1.许多水 ____________ 2.节约能源 ____________ 3.玻璃瓶 ____________ 4.砍掉太多树 ____________ 5.开车____________ 6.waste water ____________..
《Protect the Earth》基础知识PPT 第一部分内容：重点单词 1.protect 保护 2.Earth 地球 3.oil 石油 4.drive 开车,驾驶 5.other 其他的 6.glass 玻璃 7.save 节约 8.useful 有用的 9.much 很多 10.project 课题 ... ... ... P..
《Keep our city clean》PPT(第二课时) 第一部分内容：Introduce What makes the air dirty? makes What can we do to keep our city clean? 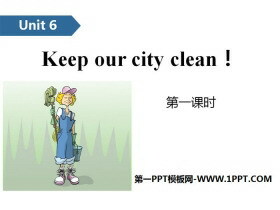 We can ... ... ... Keep our city cleanPPT，第二部分内容：Expressions What make..
《Keep our city clean》PPT(第一课时) 第一部分内容：Introduce Answer questions： What makes our city dirty? ______makes our city dirty. 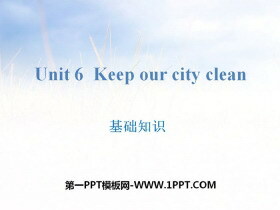 What can we do to keep our city clean? We can _______. 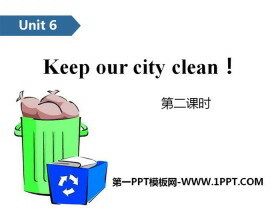 ... ... ... Keep our..
《Keep our city clean》基础知识PPT 第一部分内容：重点单词 1.keep 保持 2.clean 干净的 3.make 使变得 4.dirty 肮脏的 5.museum 博物馆 6.ground 地面,地上 7.air 空气 8.smoke 烟雾 9.rubbish 垃圾 10.messy 肮脏的,乱七八..
《Signs》PPT(第二课时) 第一部分内容：Introduce What does this sign mean? 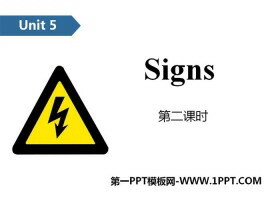 It means What do these sign mean? 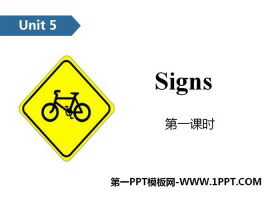 They mean ... ... ... SignsPPT，第二部分内容：Words climb / klam / 动词,表示攀登、爬。 常用短语：No cli..
《Signs》PPT(第一课时) 第一部分内容：Introduce New words: sign, shopping centre, careful, litter Sentence patterns: what does it mean? 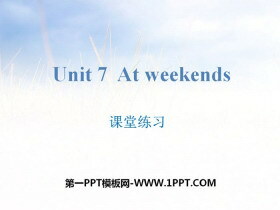 It means you cant ... ... ... SignsPPT，第二部分内容：Words shopping centre..